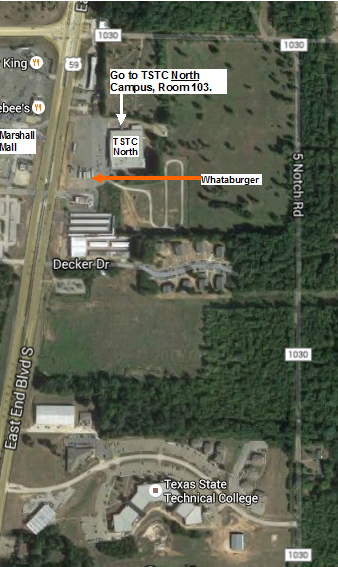 The Texas State Technical College North Campus (TSTC) is located 2-1/2 miles NORTH of I-20, and one mile SOUTH of Hwy 80, on Hwy 59. It's next door to Whataburger and across the street from Marshall Mall. Enter the campus by turning at the Whataburger, then enter through the front door of the building. Go to Classroom #103.